Mark, I love your site. Very useful strategies for students, parents, and teachers. 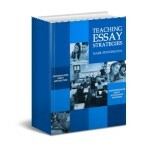 As an Advanced Placement teacher I find your blog very helpful,useful, and practical. I am linking your site for my AP students. Mark, I appreciate your response to my comment left on Teacher.Net regarding the reading/writing connection. I read your article on your blog and appreciate the information that you have set out. I’m wondering if you could further assist me. I am new to teaching and currently taking a masters course in research. 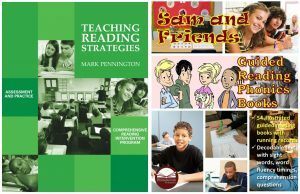 I am looking to gain additional knowledge on how to integrate reading and writing so that it will be more cohesive for my kindergarten or even primary level students. I feel that I am getting better at providing clear and explicit instruction and opportunities to practice them both, but need to locate additional information as to why it makes sense and/or how to improve my teaching in doing so. Thank you for a simple explanation devoid of ego and self preservation, common to most erudites.